The theme this year is "Celebrating Healthy Smiles"
After all, we ALL notice someone's smile, the very first time that we meet them. So, we ALL would love to have a bright, healthy smile with healthy teeth, gums and fresh breath, so that they remember what a wonderful smile we have, Yes? Unfortunately, this isn't always the case, and many people are ashamed of their teeth and hide their smiles away. The FDI World Dental Federation is an organization representing more than a million dentists worldwide. They help to develop health policy, education programs and support member associations (ADA - The American Dental Association is one of them). For World Oral Health Day they are helping to promote the opportunity to highlight the benefits of good oral health, promote awareness of oral health issues and emphasize the value of practicing good oral hygiene. 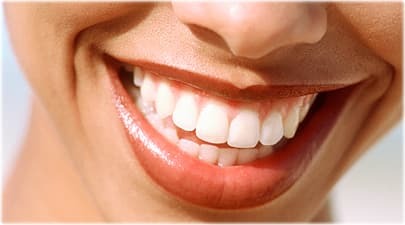 As we mentioned previoulsy, we ALL would love to have beautiful bright smiles, so let's all practice good oral hygiene. So, this year's message from the FDI is to celebrate beautiful smiles, while promoting the need to be aware of overall, good oral hygiene. How do we do ensure good oral hygiene? Brush at least twice a day (morning and night). Floss regularly, especially after eating sticky or doughy foods. Scrape your tongue regularly, to eliminate bacteria that cause bad breath (halitosis) . Visit your dentist regularly, allowing him to spot any potential problems early on. Remember that your dentist can also detect early indicators of diabetes, heart disease and oral cancer. Eat a healthy diet - this of course applies for general well-being too. Don't let your out-dated fears overcome your need to be healthy. Today, dentists are well-versed in making you feel at ease and being comfortable and relaxed. Gone are the days of old, when the dentist visit was one to be feared. Children learn from early on, how to clean their teeth and take care of them. Dental offices nowadays are bright, cheerful and happy places to be. At Dr Schmidt's dental practice, we are promoting World Oral Health Day by posting dental health tips on our Facebook page throughout the month of March (though to be honest, we do that a lot of the time!). Come on in and visit us, we'd love to see you.